Located In The Desirable Little Fresh Pond Community This Fully Renovated Beach House Is Ready For Your Hampton&apos;s Experience. 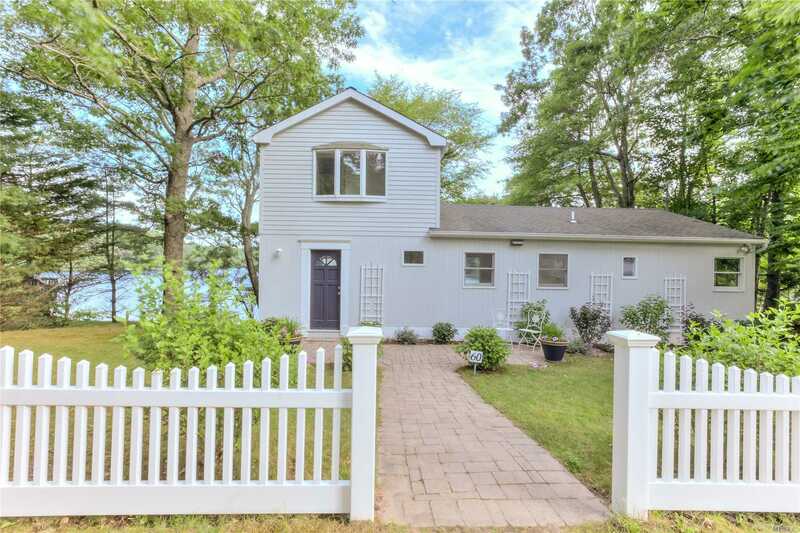 Situated On .16 Acre This Newly Renovated Waterfront Offers 3 Bedrooms, 2.5 Baths, New Hardwood Floors, Central Air, Open Floor Plan With The Chef&apos;s Kitchen Adjacent To French Sliders Overlooking Little Fresh Pond. Soak In The Sun On The Expansive Deck Perfect For Morning Sunrise Or Romantic Sunsets And Experience The Serenity Of This Beach House Design. Minutes To Ocean!